Salou, April 6, 2019. Everything is ready for the celebration tomorrow of the 5th edition of the Challenge Salou where a total of 1050 triathletes will take part in from 8 AM. 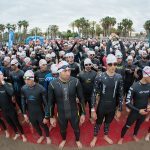 Participants will swim 1.9km, cycle 90km and run 21.1km in HALF and HALF RELAY distances; and swim 1,9km, cycle 60km and run 11km in the SHORT distance. 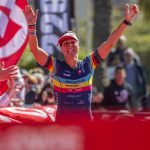 The arrival of the first runner is expected at 11:50 AM at the finish line located in the Plaza de las Comunidades Autónomas, epicenter of the triathlon during the weekend. With a fast 3 laps cycling circuit and a running race along the promenade, the race will not leave any participant indifferent. In addition, the race can be followed on streaming through the official social networks. 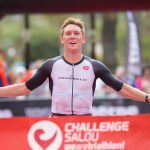 After closing registrations on February 22, Challenge Salou consolidates its international prestige with a spectacular team of triathletes from 40 countries and 78 professional triathletes who will take part in the PRO start list. Among the most important names who will compete in Salou there are Pablo Dapena (ESP), who repeats for the third consecutive year, as well as Judith Corachan (ESP) and Margie Santimaria (ITA) who also return to Salou after their first and third place in 2018, respectively. It is important to highlight that Challenge Salou not only hands out € 25,000 in prizes, but it is also a qualifying event for the World Championship (The Championship) to be held in Samorin, Slovakia, next June 2. 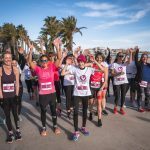 On Saturday there have been activities for the whole family, such as the Breakfast Run, the Junior Challenge, the Pasta Party and the Challenge Women, where a large number of triathletes, family and friends have enjoyed the fantastic Challenge environment.